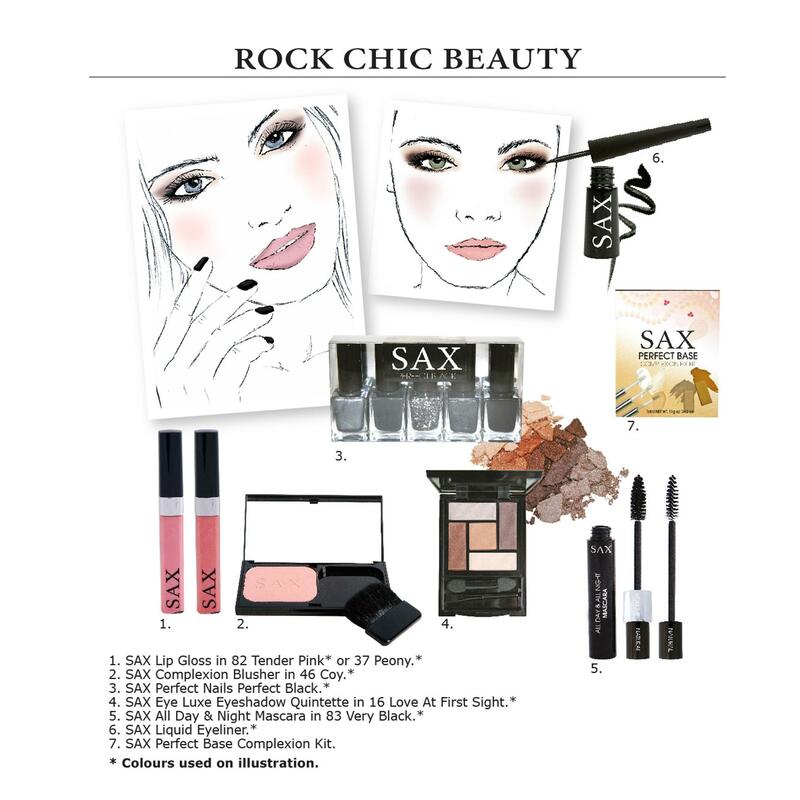 SAX Cosmetics are designed to enhance every girl's natural beauty. Here we discuss tips, tricks, trends and reviews! The SAX Winter 2014 key looks oscillate between bright, colourful and fun to a darker, more mysterious and ominous undertone. Our four looks for this season are Edgy Beauty, Retro Beauty, Rock Chic Beauty and Street Style Beauty. Looks are striking, sophisticated, mysterious and feminine using deep, rich colours whilst on the flip side is a doll-like porcelain complexion with a pop of purples, berry and lilac. Check out all of our Winter 2014 Pro Tips here!